Have you seen the Top 10 lists of “Late for Work” excuses? One employee apparently convinced herself that a long line at Starbucks justified her tardiness. 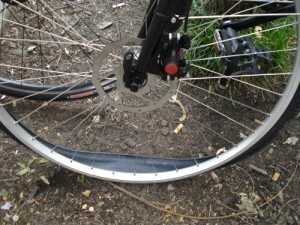 Another said a groundhog bit his bike tire and flattened it. And then there was the guy whose cat was in traction. No matter how creative the excuse, the fact is that workplace tardiness is on the rise. According to a recent poll, 20% of employees are reporting to work late at least once a week. This is up 5% from last year, pre-Recession. It’s easy to understand this trend, when layoffs are rampant and stress is high. Most folks who dread going to work do not arrive super-early. Every employee handles stress differently. Some thrive on it, tapping into their inner hero and becoming more efficient and focused than ever before. Others feel helpless and as a result, may be less productive. Still others might become angry, affecting others as they complain about the economy, politicians, or the unfairness of life. Being late is a side effect of low morale. Whether your employees are passively punishing your company for layoffs or other cost-cutting measures, or are distracted by the stress the economy is putting on their lives, low morale can easily turn into a serious problem. Managers and leaders need to take control of low employee morale before it gets out of hand. How? By banishing fear and anger, and replacing these nonproductive emotions with a realistic, hopeful picture of the future that everyone can buy into. Keep talking to your employees—even when you think you’ve done enough talking. Continue to assure your staff that everything will be okay, and that eventually the economy—and the company—will turn around. Let them know that everyone is in the same situation—they’re not experiencing the stress alone. Encourage them help improve the company’s bottom line by making one more sales call, one small improvement in customer service, or by coming up with one new idea to cut costs. Remind them that profit cures all ills, and even a small increase can make a big difference for everybody. With a hopeful environment at work, your employees will find better ways to spend their time than coming up with creative excuses for being late! Thousands of companies have instituted layoffs, which generally means a hiring freeze, too. Businesses with steady work levels are fortunate in this economy; but if they have already cut back staff levels, they can expect overworked and stressed-out employees. For companies in this position, it’s probably not the best time for restructuring. But for businesses experiencing work slowdowns, a hiring freeze is a good time to re-evaluate staffing needs. In business, proper planning means success. Plan for the post-freeze work increase now, and you’ll be better positioned when the economy begins its recovery. First, take a look at each department under your supervision. Observe the team’s workload and how it all flows. Are they able to get their work accomplished each day, or are they perpetually behind? Are they looking for more work to do, or—even worse—extending each task out to take up their available time? Review all the individual responsibilities required of your staff. Is each one essential to getting your company’s products into your customers’ hands? Or, are your workers required to fill out unnecessary paperwork or perform redundant tasks at the expense of producing sales? 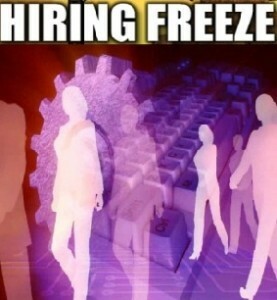 Consider putting a freeze on all non-essential tasks until the hiring freeze is over. Engage staff in dialogue and you can learn exactly what they think of their workload. Ask for their suggestions to streamline workflow or eliminate unnecessary steps and procedures. You may find they have been hoping you’d have this exact conversation for weeks (or even years!). Are there workers reporting to the wrong supervisor? Does it make more sense to combine the Training Department with Production? Are there holes in areas that could be generating revenue? Shifting existing staff to these areas could improve workflow and increase revenues, while keeping your valuable employees motivated. There is nothing like eliminating positions to help you determine whether or not they are actually needed. When the hiring freeze is over, fill revenue-generating positions first, then look back over your evaluations and decide which positions are most essential, and which ones never were. When hiring again, don’t neglect employment background checks to screen out potential problem employees before they’re hired. The current economic climate is taking its toll on businesses, and by extension, on workers and their families. Stress levels are high, from top-level management to entry-level workers. Employees who manage to keep their jobs might have a spouse who has lost theirs, or they’re experience the loss of contact with laid off co-workers. 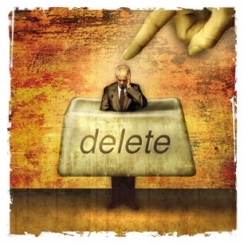 Some even feel remorse or guilt for keeping their job. There is no doubt that morale and productivity are greatly affected by seemingly unending layoffs. 58% of respondents to a recent survey by i4cp (Institute For Corporate Productivity), indicated they reduced their workforce in 2008, and almost 40% planned a reduction in 2009. Even companies who don’t necessarily need to reduce their workforces are deciding this is a good time to let people go or restructure their organizations. It is vital that management handle the process effectively to avoid a corresponding productivity decline by remaining employees. Layoffs should be a last resort. If your problem is too little profit, consider asking employees for help in cutting expenses or brainstorming ways to increase sales. Losing the experience and knowledge of your employees is difficult to overcome. Your company will not be well-positioned for future growth if your first reaction is to cut staff. 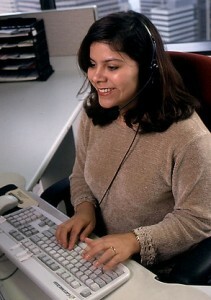 Do not implement layoffs without a strategy: first, know what your post-layoff company looks like, including its structure and the staffing levels that will be needed in each department; then, decide exactly when the layoff will occur, how much severance will be paid to each employee, and how far the company will go to assist laid off workers. Do avoid legal issues: base decisions on the needs of the business, not on head count or seniority. Avoid accusations of discrimination based on age, gender or race. Do give as much notice as possible: there is no evidence that more notice of a layoff will make workers unproductive or increase chances of harm to the business. On the contrary, too little notice leads to mistrust and feelings of disrespect. Employees have the right to plan their lives, and employers should give them the opportunity to do so. Do not treat employees like children: Remember you are being watched! Keeping secrets and “trying to act normal” fuels the rumor mill. Be open, dignified and efficient when conducting layoffs. Do over-communicate: rather than withholding information, clarify the why, when, and how. Do not behave as though nothing happened: employees will talk whether or not management chooses to participate in the discussion. By discounting the layoffs, employers contribute to employees’ feelings of helplessness, and make them wonder what else is being hidden from them. Do encourage employees to talk about it: honest, open communication speeds recovery and can strengthen ties between surviving employees and management. Do give employees something to look forward to: share the company’s vision with your remaining employees; focus on what you can achieve in the future, not what you’ve lost. When hiring new employees again, employment background checks will help you attract and retain the best candidates. Frequent communication can keep employees happy. Who enjoys evaluations? In our experience, neither the employee nor the evaluator thinks they’re much fun. Individuals measure their worth differently; a high score in one area may not mean a thing to Jane, while it means the world to Joe. Your company may place a high value on promptness; while Kate thinks being a minute or two late is no big deal, as long as she is at work every day. Traditional evaluations that reduce an employee to a letter or number score may not be working—and you may not even know it. There are many ways to measure success. Maybe it’s time you evaluated your evaluation process! Employee reviews tend to be more interactive, a word that is thrown around a great deal these days. It’s all about sharing information. Younger employees—the Gen Ys and Millenials—expect to participate in the process, rather than to be told what is happening. They want to feel like part of something important, and to know how they can make a difference. Embrace this as you consider how best to manage them. Consider weekly or bi-weekly chats with your employees. You may think, “there’s no time for that!” But consider how much time you put into annual evaluations, with all the preparation, writing, and presenting time that go along with them. Many employers never get around to the formal evaluations because the process takes too long. Shorter, more frequent reviews could be the solution for your company. Asking for feedback makes employees feel like important individuals. Focus on their needs and goals, tracking progress and asking how you can be effective in helping them reach theirs. Reviews are a good time to talk about new responsibilities, too. With more frequent communication, you’re likely to know better when an employee is ready for you to delegate new projects or tasks, making your job easier. Don’t forget to take the opportunity to show appreciation for contributions to their team and the company. Tell them what they’re doing right. Then, explain the things that haven’t gone well, with suggestions for improvement. Keep it short and provide examples to follow. Look at frequent employee reviews as time savers! Your operation can run more smoothly when you guide employees to meet goals, and add responsibilities you know they can handle. It’s a win-win situation. When hiring new employees, employment background checks will help you attract and retain the best candidates.